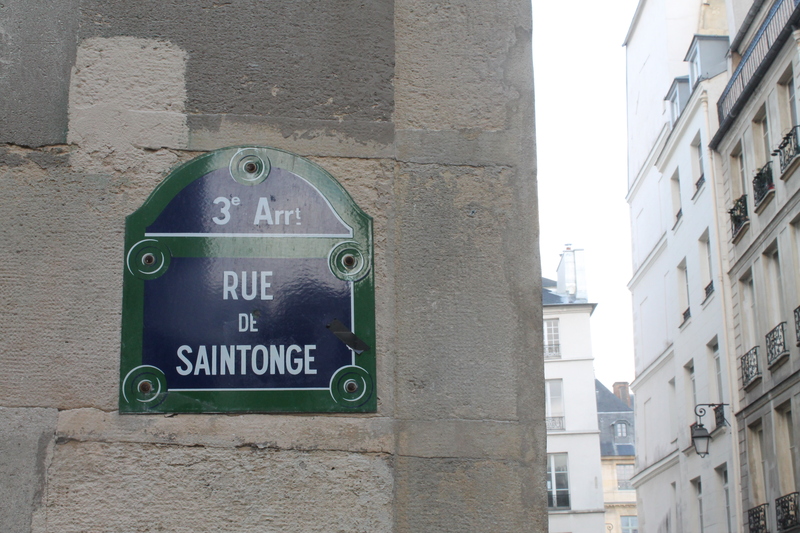 The plan was to attend the Vintage Salon in the heart of the Marais this Sunday afternoon, but we never got there because we were detained at the crêperie. We had to line up for half an hour to get into the Breizh Café. I hate queuing, so while Monique held our place and chatted with a quartet of Trump supporters from Queens, I walked up the road and snapped a few shots. We finally got a table and the atmosphere was jolly. 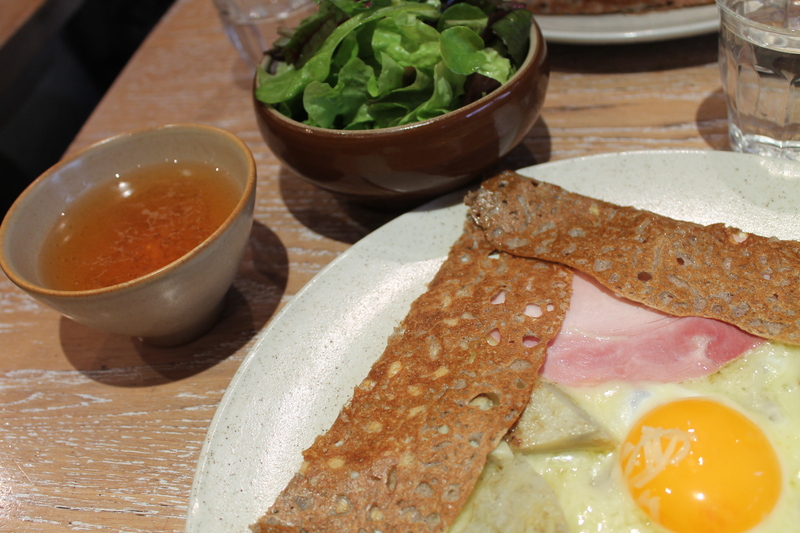 We both ordered a ham, cheese, egg and artichoke buckwheat crêpe. I had a small bowl of cider, Monique a small green salad. 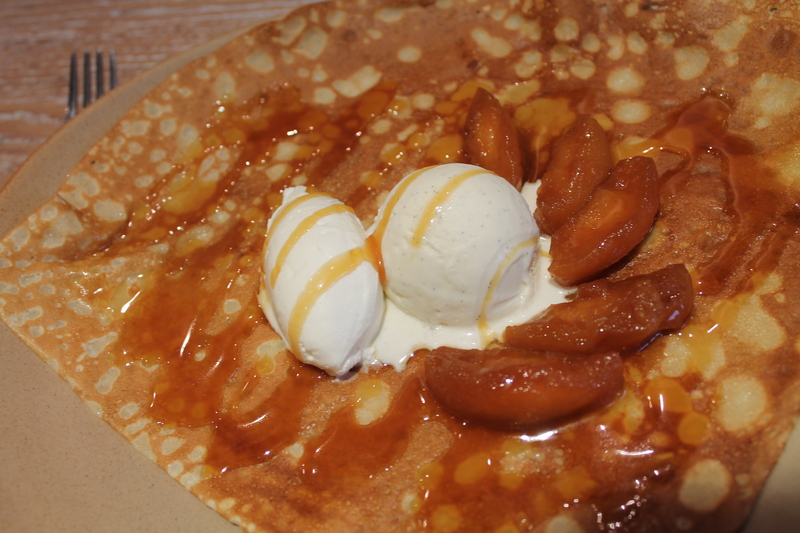 There are two kinds of crêpe – sweet and savory. 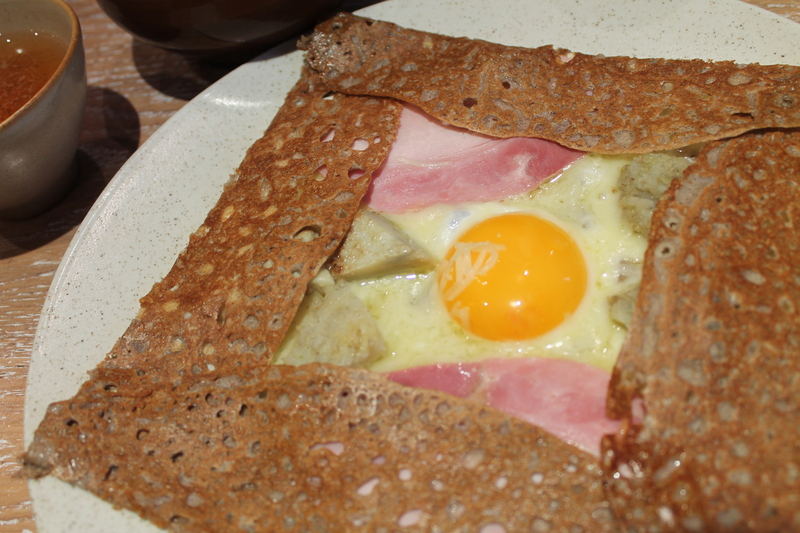 The savory ones, called galettes, are made from buckwheat flour called sarrasin. 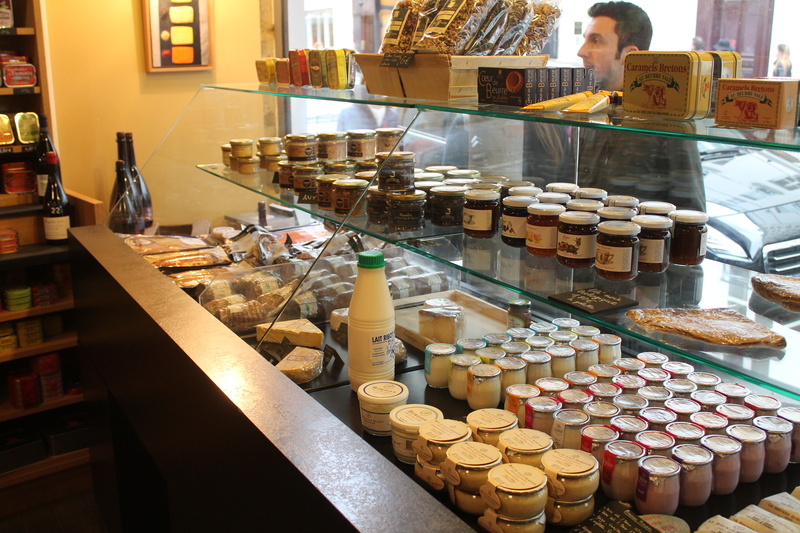 At the Breizh Café (the name Breizh, incidentally, means Brittany in Breton, the indigenous Celtic language), the secret of its success is the authenticity of their products. 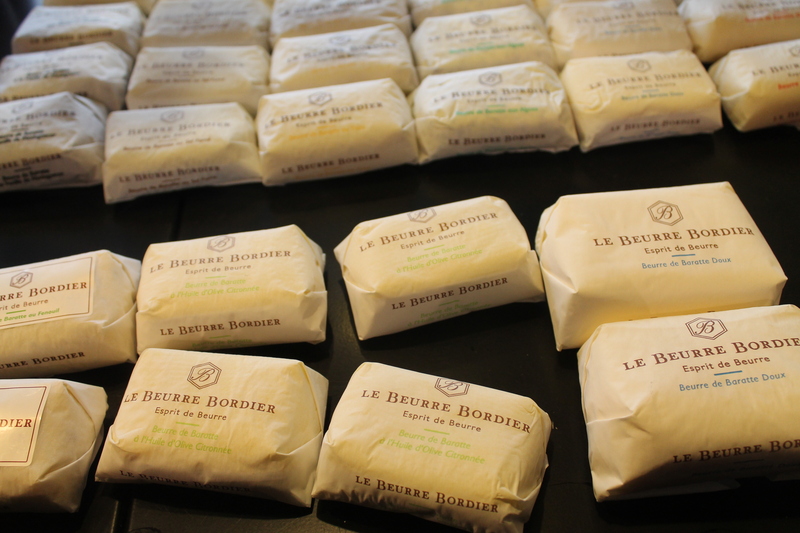 All products, including the butter, are transported from the French region of Brittany, the home of galettes and crepes, cider, sea-salt caramels and a dozen other delights. 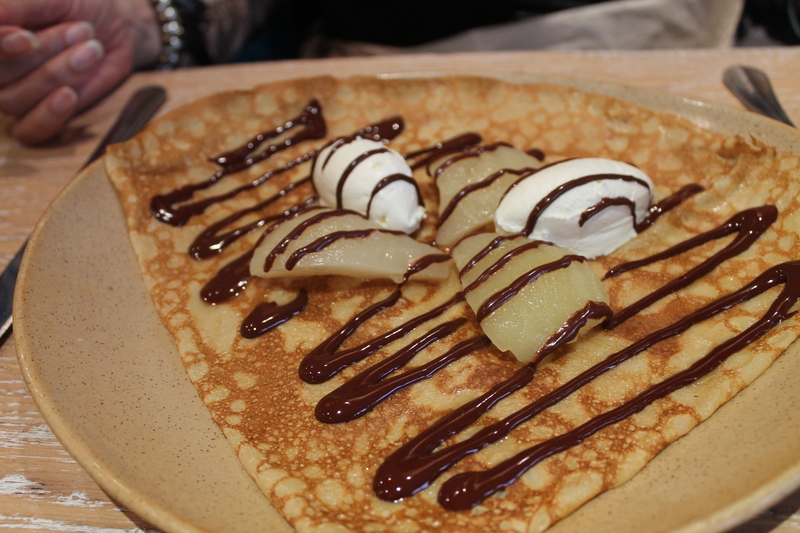 Monique’s dessert crêpe was pear and chocolate, mine was caramelized apple drizzled with salted caramel. The both were topped with a spoonful of vanilla ice cream and a spoonful of whipped cream. This place isn’t cheap, although there are simpler, less expensive options on the menu. My dessert crêpe cost 10 euros 50, as did the savory crêpe. 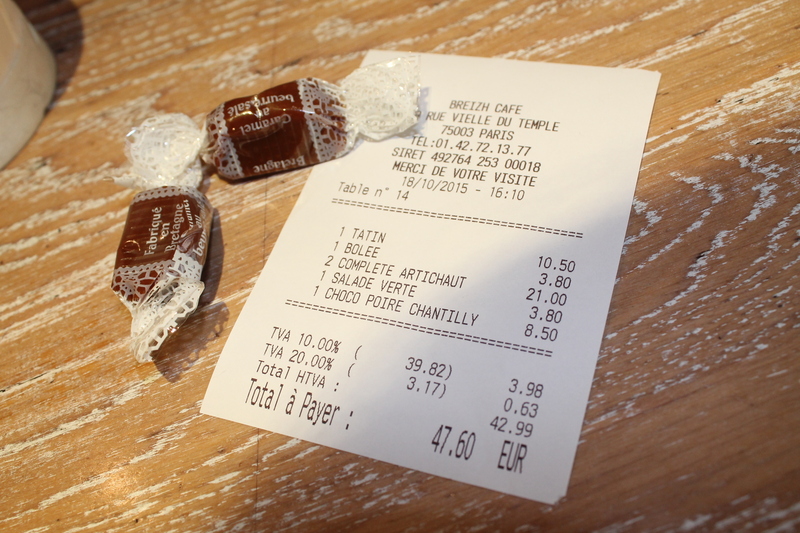 Clearly, the Breizh café is a once or twice-a-year event, at least for my pocketbook it is. 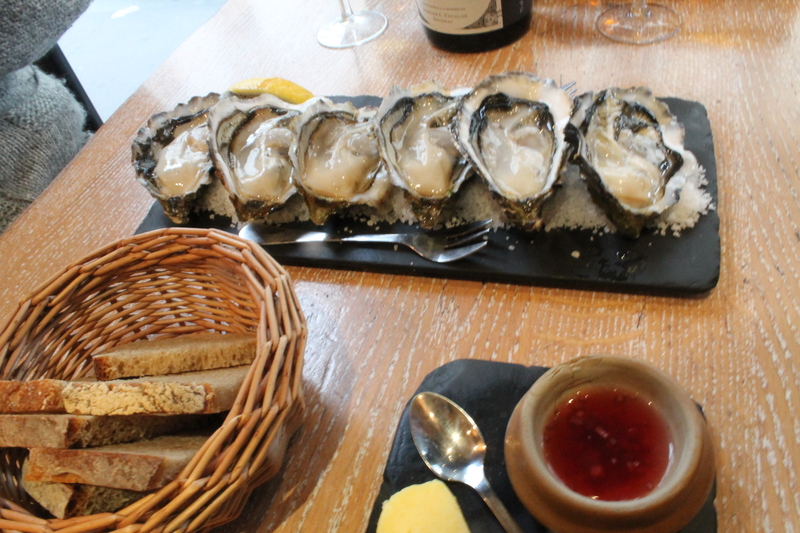 But you should go at least once because the service is good, the food and cider exemplary and the ambiance fun. Leaving the restaurant, we went to the shop next door where you can buy the products trucked in from Brittany – gorgeous butter, cider, cheese, jams, etc. They are all high quality…and expensive. I remember when the kids were small, I’d say to their parents “I don’t want them to grow up. I want them to stay small and innocent forever.” Here’s the eldest boy, all grown up at 15 years old, and in full rebellion. Listens to rap, talks back to his parents, thinks He Knows It All and we know nothing (reminds me of me at the same age). Sitting on his unmade bed. Oh, and permanently attached to his iPhone as if it were an extension of his arm. Here he was nine years ago at the age of 6. Adorable. Sitting on my knee. Knee-high to a grasshopper. Saturday night a bunch of his friends and cousins were over. You’ll never guess what they were doing. They were all sitting in one room, each with his or her iPhone, sending text messages and Snapchat photos to each other. “But why don’t you just talk?” we grownups said to them in stupefaction. “You know…like, a conversation? ?” “No, that’s boring,” was the reply. Here’s how to empty a room full of kids fast. Put on a DVD of an old black and white film. I brought the excellent 3:10 to Yuma with me. Not the remake with Russell Crowe and Christian Bale, but the original 1957 Western starring Glenn Ford and Van Heflin. Sublimely directed by Delmer Daves. We fired up the DVD player and as soon as the film came on the kids cried – Aaaarrrrgghhhh! !…it’s black and white!!!! And ran out of the room. Saturday afternoon went into the Old Town of Lille with my 12-year old goddaughter. 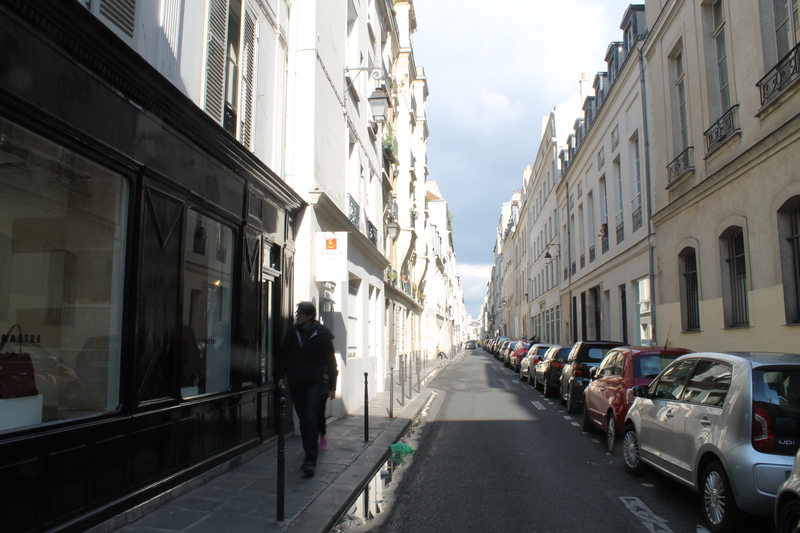 Narrow, cobblestoned streets. 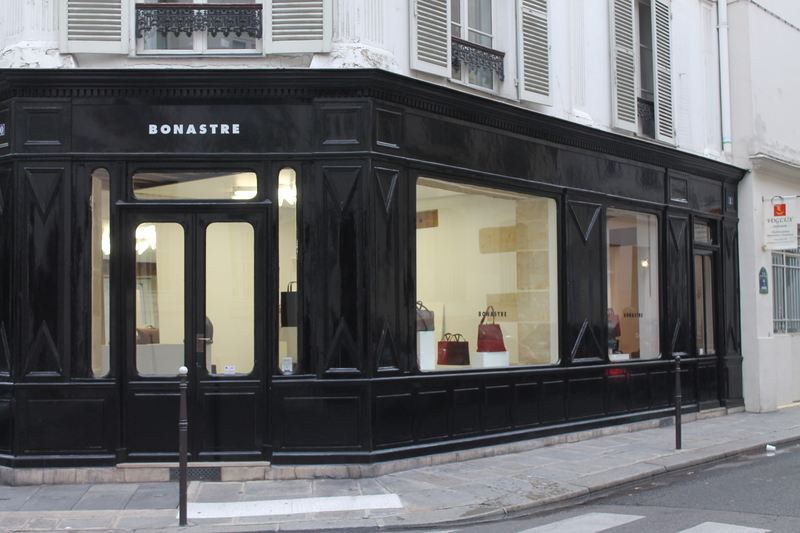 Great boutiques and tea salons. 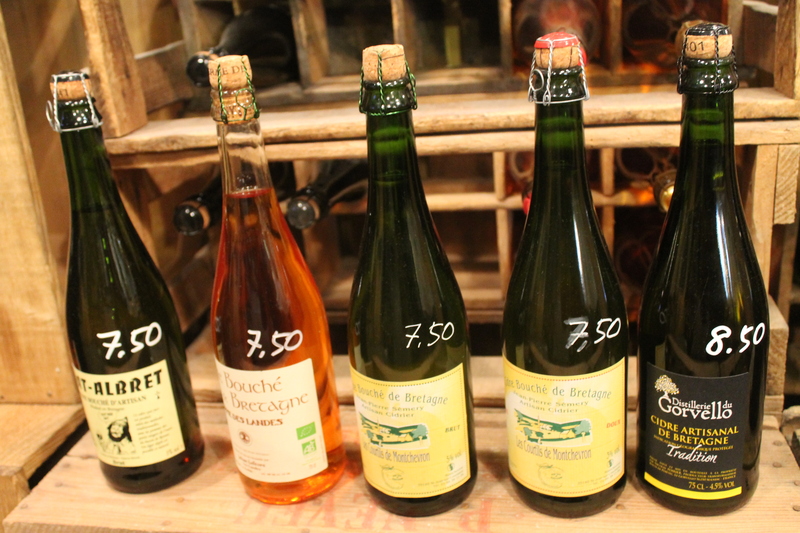 And the good people of Lille, called Lillois, are friendlier and more laidback than the aggressive Parisians. I might move to Lille when I retire. In fact, my ideal retirement lifestyle is this: six months in Lille, six months in Portugal (near a golf course). I’m teaching M. to use a 35 mm camera; she took many of these photos. 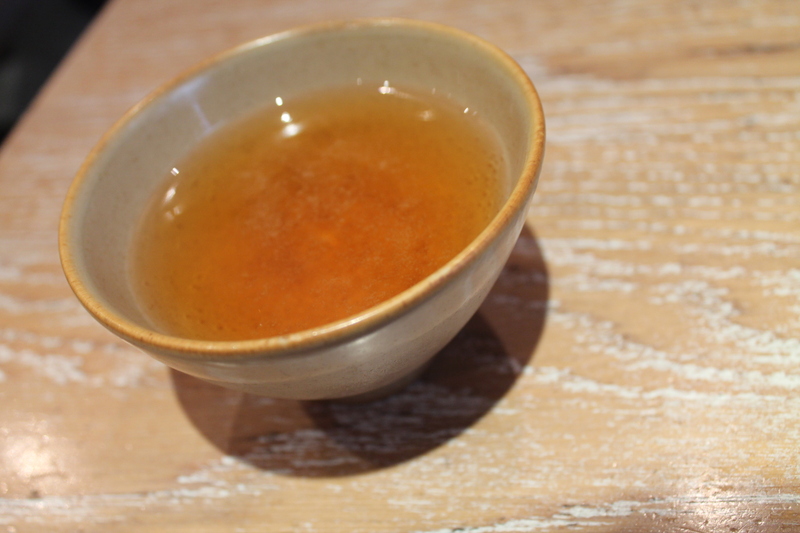 We ended the afternoon in a favorite tea salon called Tous Les Jours Dimanche. We ordered hot chocolate, one with real whipped cream called chantilly, the other intense dark chocolate. Today I went to Lille’s Museum of Fine Arts, otherwise known as the Musée des beaux-arts. There’s a small porcelain collection that I like to revisit. Here’s an 18th-century cup from the north of France called “une tasse trembleuse”. Here’s an 18th-century hot chocolate pot (chocolatière) and cup. I wonder what 18th-century hot chocolate tasted like. and some Delft porcelain from Holland, 1700-1750. I must visit the small town of Delft, I hear it’s charming. I really want to go back to Holland, to the Rijksmuseum again in Amsterdam (see my post) and to The Hague. If anyone’s interested in porcelain, there’s an important collection at the Musée National de Céramique de Sèvres in western Paris. 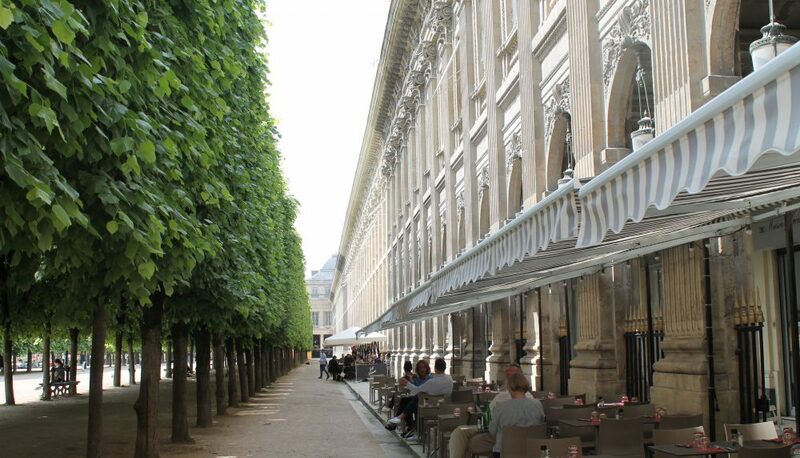 Only a handful of museums around Paris remain almost unknown to tourists. Among them, the National Museum of Ceramics is perhaps the loveliest. Situated just 30 minutes by Métro or taxi from the center of the city, at the Pont de Sèvres overlooking the Seine, it houses a trove of Sèvres porcelain as well as an extensive collection of French faience and ceramics from Europe, the Far East and the Middle East, some of which date back to the fourth century B.C. If you’re wondering who the author is, Mary Oliver is an American poet who has won the National Book Award and the Pulitzer Prize. Born in Maple Heights, Ohio in 1935, she attended Vassar College and Ohio State University. I learned of the existence of this poignant, relevant book while reading the Toronto-based blog, Pickle Me This (link below). The story is of Rama and her family who are forced to flee their once-peaceful village in Syria to escape the ravages of the civil war. With only what they can carry on their backs, Rama’s family sets out to walk to safety in Europe. Nizar Ali Badr’s stunning stone compositions illustrate the story. How someone can evoke emotion through the arrangement of small stones is beyond extraordinary. A perfect example of why the world needs artists. If you purchase this book, proceeds will be donated to an organization supporting refugees.